Certain dietary supplements are very specific in promoting the functioning of the brain and nervous system. These supplements are known as Nootropics. How do nootropic supplements work? Nootropics are very specific in promoting the functioning and protection of the brain. So how do nootropics actually work? The brain remains constantly active, thereby using up about 20% of the total body energy. Nootropics keep the brain supercharged by fuelling up the brain cells and protecting the mitochondria, which are also known as the powerhouse of the brain. Acetylcholine, serotonin, dopamine, and norepinephrine are the important neurotransmitters that help in promoting the brain activity. Nootropics increase the level of these chemicals in the brain, thereby resulting in maximized brain power. Nootropics help in improving the blood circulation in the brain, thereby allowing the cells to flush out the cellular waste and toxins at a rapid pace. This promotes the health and flexibility of the brain cells. Greater the number of the brain cells, the better the functioning of the brain. Nootropics support processes such as neurogenesis and brain plasticity, which allow the brain cells to repair, multiply and regenerate. The functioning of the brain is mainly dependant on the electrical activities that occur within the brain cells. Nootropics promote a healthy electrical activity in the brain, thereby leading to a well-coordinated brain function. 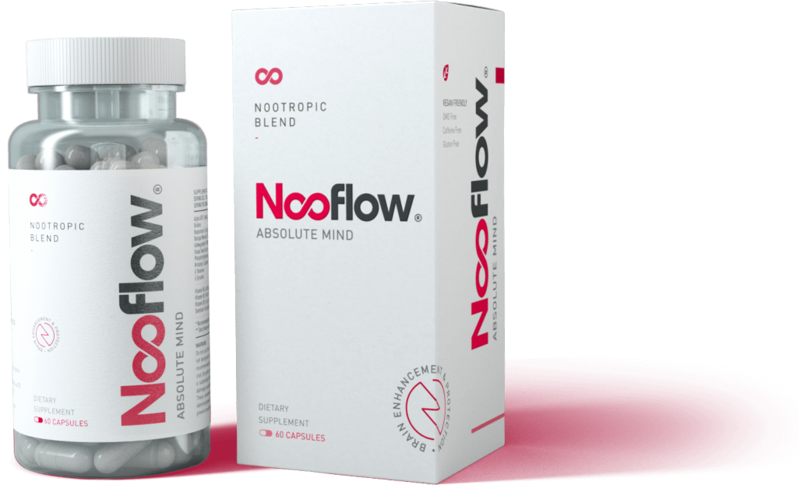 Adequate supplementation with high-quality nootropics like Nooflow® brings many benefits, allowing the mind and body to flourish through naturally crafted remedies. 100% natural ingredient blend. Your daily dose of health and brainpower. Nooflow® will improve your daily experience, and that's a promise! If you aren't completely fulfilling your mental capacity, there's going to be a lot of things in life that you miss out on; don't live to regret those moments! Make the most out of your years, make sure that you're keeping both body and mind in stellar shape, because you never know what's waiting around the corner. All of the ingredients included in our product were carefully selected to work perfectly alongside one another. The combined effect of all ingredients used in Nooflow® makes it much more effective than all other nootropic stacks available on the market. A wise selection of natural nootropics, herbal extracts and vitamins helps in maximizing the effectiveness of each ingredient so that the overall benefits get augmented by a remarkable scale. 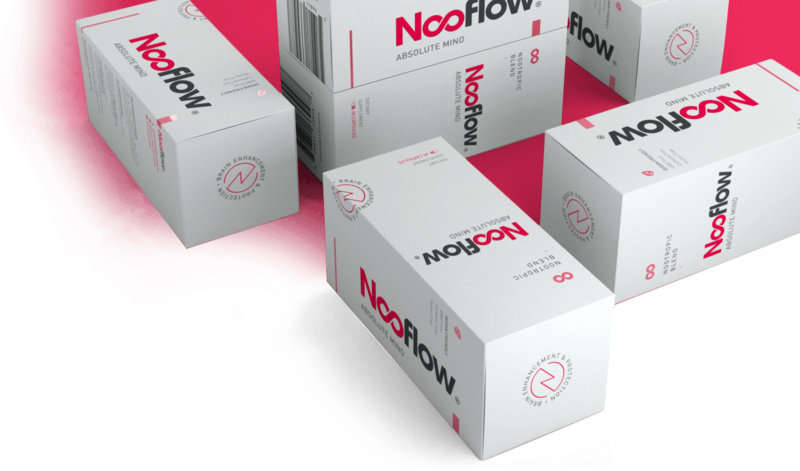 Nooflow® contains only the best of ingredients that are carefully selected and have undergone years of clinical tests and laboratory researches. All of the ingredients included in our premium blend are considered safe by the FDA (Food and Drugs Association) and EMA (European Medicines Agency). Hence, the supplement is highly effective as well as safe for individuals of all ages. Furthermore, every ingredient used in Nooflow® is 100% natural and does not pose any risk of negative side effects even if you discontinue it abruptly. Each of the ingredients used in Nooflow® has its own unique benefits and have been used in medicinal practices all around the world since ancient times. There isn’t too much of one specific substance, nor is there too little. The potency of each ingredient is tested so as to correctly determine the most optimum quantity to be included in the final blend. The formula has been meticulously designed so as to bring to you the most effective nootropic stack of all times.